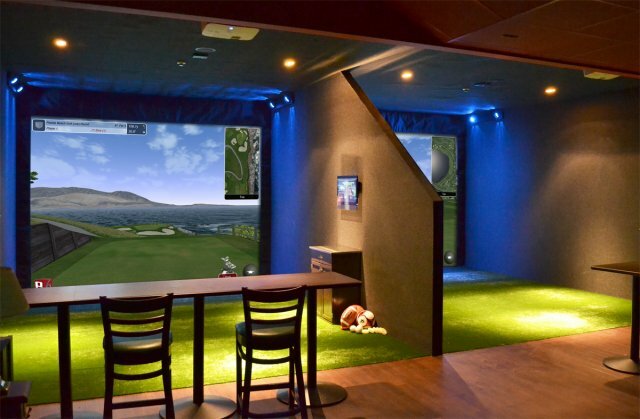 SES Blog Articles on Golf Simulators and Virtual Sports: Sport Simulators - Bring The Game to You! 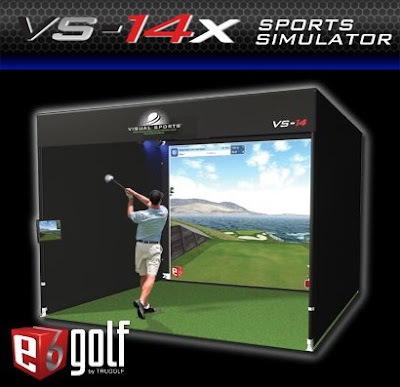 Sport Simulators - Bring The Game to You! Our goal is simple: to bring the fun and challenge in sports whenever, wherever you want. 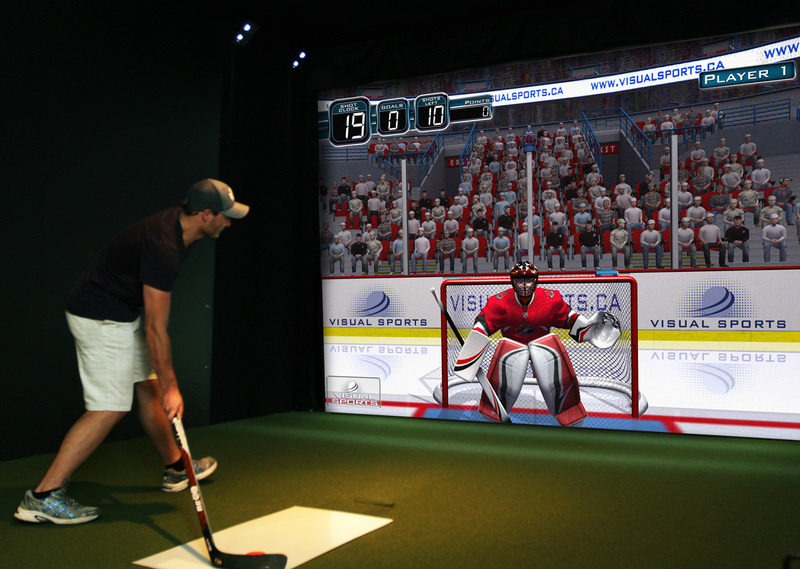 Our multi-sports simulators can work in any room as long as there is electricity and we can install the product for you at your convenience. And we assure you that you can use it immediately, right after we finish installing. See our Sports Simulator Deal of the Century here! It doesn’t matter if you want to install the simulator in your home or at work, as long as the room’s dimensions are at least 10’ x 10’ x 10’. We recommend that you at least have additional 1’ allowance for the length and width of the room and 2’ allowance for the height. The smallest screen that we offer are 6’9” tall by 9’ wide. You can even profit from the multi-sports simulator. We can install a coin or bill collection system that will require players to pay before they could play. It is an excellent source of additional revenue for those who run cafes, restaurants, bars, arcades, or any business that has lots of traffic. The games within the simulator are programmed to allow in-game advertisements and branding. You can set it up to place logos and ad images on the game environment itself, just like in typical sports arenas. You do not necessarily need to put an ad for yourself. You can, instead, sell ad spaces in your game as another way to earn profit. If you plan to make the simulator your primary profit driver, it is best that you add a bill, coin, and credit card system on the simulator. Doing so can simplify the operation and renting of the system. Installing this system allows for faster turnovers for customers, simpler price management, and quicker profit collection. 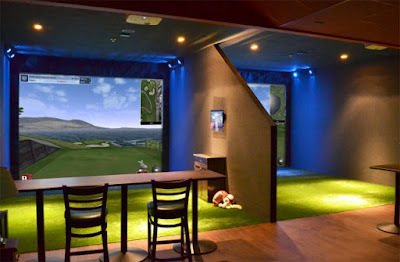 Some of the best places or businesses that you want to place or use a simulator in are recreation centers, entertainment centers, retail sporting goods stores, indoor sports centers, and sports stadiums or arenas. The best thing about the simulator is that it doesn’t wear and tear fast despite heavy use. The only abused part of the system is the screen, which you can easily replace or fix. 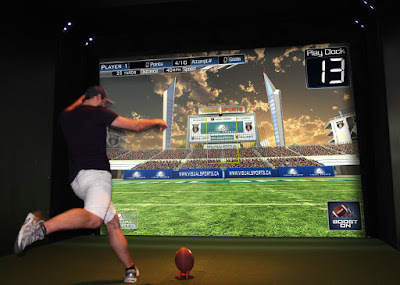 Our multi-sports simulator comes with real sports equipment for the appropriate games. You do not play using controllers. Instead, you swing with a real bat, tee with a real club, and throw a real baseball. Using the necessary equipment for the actual sport makes for an awesome immersive experience — as if you are truly playing a real game. The set of sports equipment you use in our simulator is completely wireless. You do not need to wear any wired equipment to start a game. Just set the game, get your sports gear (e.g. bat, club, soccer ball, etc. ), and play. Nothing will tether you to the system — just like a real game. The system takes advantage of motion control. It uses four high-end tracking cameras to monitor you and your sports equipment. The cameras record all your movements. An object tracking program translates the images the cameras have captured as data. The program then sends the processed data as input to the game you chose. We provide high-speed tracking cameras, which can take more than 2,000 pictures every second. Our Microsight technology allows the system to detect the angle, speed, and trajectory of the projectiles that move within the platform area. Basically, it can track the pucks and balls with extreme precision in real time. You do not need to worry about the safety of playing sports inside the room where you installed the system. You can rest assured that the screen — an impact-resistant double-layer mesh screen — can withstand the force of the balls or puck you use during your games. The screen is able to absorb and dampen the impact to prevent your equipment from flying wildly all over the room. The LCD projector that comes with the system will display the visual elements of the game on the dual-layer mesh screen. Most of the games have menus and additional graphical user interface to provide you with important game and sports information. You can set and interact with the system using a touch screen that comes with the system. We have three sports software packages for our systems: the America pack, the World pack, and the Entertainment pack. You get baseball and football for the America pack; while you get hockey, soccer, cricket, and rugby for the World pack. Lastly, with the Entertainment pack, you get bocce, zombie dodgeball, carnival (Carniville), and basketball. 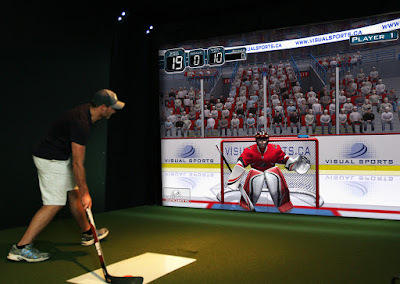 Most of the simulators provide you the chance to perform important aspects of the sport. For example, baseball simulations let you hit and pitch. In football, you can perform passes and field goal responsibilities. In basketball, you can practice shooting. The first three systems (VS Elite, VS-14x, and VS-12G) come with a golf simulator — the E6 golf by TruGolf, which comes with 15 detailed and beautiful courses (Base Course Package). All of the systems are expandable, which means that you can add any games. You can only choose one sports software package for any system you go for. But you can avail of our VS Multi-Sport Add-On to get all the sports software packages in your system. This add-on also includes shipping and our Gold Package installation and servicing plan. The Gold Package includes lifetime support, training, and premium wires and cables. We know that some of you may already have a multisport simulation system. That’s OK — you can still avail of the sports simulation games packages or add-on even if you already have an existing simulator system from another company. You can still get all the games from the Multi-Sport Add-On, as well as the additional services that come with it. The VS Elite is our biggest product and we recommend it to those who prefer to have the most customized sports gaming experience. We will be more than willing to collaborate with your architect or contractor to convert the room where you want to have the system install into a complete gaming, entertainment, and home theater area — your very own man-cave. You can even easily add and extend your library of games, sports, and simulation programs (such as flight and car simulators) with our system’s extendibility feature. We recommend that you have a room with a dimension of 11’ x 14’ x 15’ for the VS Elite system. It is not the minimum requirement, but it is best to future-proof your room if you plan to put in additional features later. The VS Elite comes with the SES Gold service plan and a 1-year warranty on all of the programs and equipment that we will provide. The VS-14’s minimum space requirement is 10’6” x 14’3” x 14’4”. It comes with a dual-layer mesh screen that is 13’ wide, 10’ tall, and 3” thick. The other equipment you will get are: a 15” touch screen, system PC, TruTrac sensors, Picosight tracking cameras, and an EPSON LCD projector. You get to choose one of the three software packs. The VS-12G’s minimum space requirement is 10’ x 13’ x 13”. It comes with an impact-resistant dual-layer mesh screen that is 12’ wide, 9’ tall, and 3” thick. The other equipment you will get are: a 15” touch screen, SIM-optimized system PC, four Microsight tracking cameras, and an EPSON LCD projector. You get to choose one of the three software packs. Note that the main differences between the packages are the screen size, number and type of sensors and cameras, and required room space. The VS-10’s minimum space requirement is 10’ x 10’ x 10”. It comes with an impact-resistant Cordura screen that is 9’ wide, 6’ 9” tall, and 3” thick. The other equipment you will get are: a 15” touch screen, object tracking system PC, four Picosight tracking cameras, and an EPSON LCD projector. You get to choose one of the three software packs. We have two installation and servicing packages available for you: the SES Silver package and the SES Gold package. The SES Gold package comes with the VS Elite system package and the VS Multi-Sport Add-On. This service plan comes with the regular on-site installation and construction of the system you got. Our service people will also set everything up and train/teach the person who will operate the system for three days. The schedule of the installation depends on your schedule. Do note that the flat fee does not include potential additional labor and travel costs. The Gold plan is basically an upgraded version of the Silver plan — but with a ton of perks. First, the training for the operator(s) will be much more intensive and even includes an extensive Q&A session. Second, you will get extended support for your system from us combined with the support of the respective OEMs of included equipment. The support is valid as long as you keep all the warranties.